A domestic battery charge, originally filed as a misdemeanor, has been amended to a felony against a Burley man accused of injuring his ex-wife earlier this year in Bellevue. 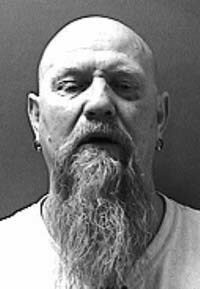 Larry E. Richardson, 51, pleaded not guilty to "domestic violence inflicting traumatic injury" at arraignment April 9 in Blaine County 5th District Court. Richardson is also charged with the misdemeanor crime of intentional interference with a 911 emergency call. The case arose on the morning of Jan. 21 when deputies from the Bellevue Marshal's Office were called to a domestic disturbance on North Third Street. Richardson was arrested later that day after both he and the woman were interviewed. According to the Hailey Police Department, which provides law enforcement to the city of Bellevue, the woman was injured when she and Richardson got into an argument and a scuffle. Police also allege that Richardson initially prevented the woman from calling 911 to report the altercation. Originally filed as a misdemeanor domestic battery case, the charge was amended to a felony in February. Blaine County Deputy Prosecuting Attorney Matt Fredback said the charge was upgraded to a felony because the woman's injuries, including a broken nose, were more serious than originally known. Richardson remains free on $2,500 bond. He is represented by Hailey attorney Douglas Nelson. Judge Elgee scheduled a jury trial to begin on July 18. According to court records, Richardson was earlier married to the woman but the couple was divorced in 2011. However, court records indicate that he was staying at the home at the time of the altercation.